2 Lovebirds + 1 More, Please? I am taking a much needed break from all things infertility until January 2015. Warmest wishes and happy holidays to all. I had a lining scratch/biopsy yesterday and I also requested an updated E2 blood draw. My doctor and I discussed how my body held on to the Delestrogen inordinately longer than most others. In fact, it took 50+ days to recalibrate my cycle after the medicated FET. I was happy to learn my E2 finally dropped (from 237 to 81) so a proper bleed is imminent. They are sending the scratch biopsy out to look for any infection in my lining. We are not testing for the Beta-3 Integrin as I had that test in the past, and it indicated I was not missing the protein. If there is some sort of issue with my lining from this recent biopsy, I need to treat it with antibiotics and then decide if I want to push my next FET back to January, instead of November. It took me 8 fresh IVF cycles to get these last 3 normal embryos, so I will need to think this through carefully. As much as I hate waiting, the logical me is saying I need to transfer under optional conditions. I have about a week to decide. Edited to add: The results are back, and I do not have endometritis. And yes, I am surprised. My next FET will vary from my last one in a number of ways. To prep, I am going to do an endometrial scratch and a long course of antibiotics (to treat any possible infection). My last cycle, I had a combo saline sonogram/mini scratch. While my doctor doesn’t put much stock in the scratch, he is willing to do it as it cannot hurt our outcome. We are also going to follow my natural cycle, with supplementation of estrace and progesterone, only as needed. There will be 0 medicated suppression. The immune protocol will remain the same. Let’s be honest, things aren’t very positive here right now. We’ve been actively pursing infertility treatments since March 2011 and we have 0 living children. Short of using a gestational carrier, there isn’t much more we can do to make this work. Adios insomnia and stomach acid. It’s amazing what a (temporary) drop in my prednisone dosage, as well as some Ambien and Zantac can do for a girl. Edited to add: The stomach acid has returned. Meh. Right now I am in a waiting period. On CD3, my estrogen was 237, when it should be below 50. WTF? My doctor believes my body is “metabolizing estradiol slowly post-FET.” Hey, ya think? I have the option to take Provera, but I think prefer to let my body get back to “normal” on it’s own before we try another FET. And of course now we have to start to plan around holiday lab closures. I’ve also been in communication with Dr. Braverman’s financial team, as I have an interest in his embryologist (who is supposed to be brilliant with MFI) and a possible hail mary egg retrieval with his practice. However the costs are looking to be fairly prohibitive. Dr. Braverman’s policy is that you must pay out of pocket for things that my insurance will cover due to MFI, like ICSI and CCS biopsies. It looks like ICSI is covered by insurance, so we made a appointment to chat with Dr. Braverman in November. I think the way forward is a more natural FET and if that fails I will consider another egg retrieval. My RE and I discussed this plan and he told me I was a “tough cookie.” I told him I just had perspective and didn’t think whining and crying was going to get me a baby. But that is the subject for another post. There were many alternative titles for this post, including “Crisis Management,” “Zantac Candy,” and “Zombie Girl” or last but not least, “The Wheels are Coming Off.” Nonetheless, I settled with the least witty one out there. I’m tired. I’ve been struggling with some heavy side effects from Prednisone. Right now I am dealing with significant insomnia (zombie girl), painful acid reflux/stomach issues (zantac candy), and numbness in my fingers. More infrequently, I also have had hot flashes and a rapid heart rate. Incidentally, the one side effect that I have not been blessed with is increased hunger/weight gain. Look at that, I am not the girl who cried wolf. My next FET is on hold for a few weeks. My estrogen is still significantly elevated (at 237) and therefore my body is holding on to an 8.1 lining (a transfer quality lining, not a baseline lining). My body is completely out of whack and my cycle is all off. Just another reason to say a medicated FET is not or me. My options are to wait it out for a natural bleed or take Provera. Then I can either move into another FET or start Lupron in the luteal phase and roll directly into another egg retrieval. Edited to add: I skipped the Provera and there will be no Lupron with my next FET. I will be the first to admit that I am currently not in the right headspace to make any important decisions. 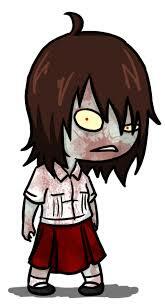 I have 3 normals on ice, but feed me a failed FET (after years of just trying to get embryos) coupled with very little sleep (zombie girl) and I keep returning to “must. hoard. more. embryos.” I promised myself and my husband that there would be no more egg retrievals come 2015. There has to be an end point to all this madness. But then again, we thought our issue was getting embryos, not implantation. Agonist/Antagonist Conversion Protocol with PICSI, Lupron, Ganirelix, Follistim, Menopur, Lovenox, Pregnyl. Supplements: Vitamin D.
8 eggs retrieved, 5 mature, 5 fertilized. 3 (Grade 2) Expanded Blasts Frozen. Agonist/Antagonist Conversion Protocol with PICSI, Lupron, Ganirelix, Follistim, Menopur, Lovenox, Pregnyl. Supplements: Ubiquinol, Pycnogenol, Vitamin D.
8 mature eggs, 8 fertilized, 2 Normal, Grade 2, Expanded Blasts Frozen. Agonist/Antagonist Conversion Protocol, Lupron, Ganirelix, Follistim, Menopur, Lovenox, Pregnyl. Supplements: Ubiquinol, Pycnogenol, Vitamin D and Acupuncture 1x a week. 0 Embryos, Ovulated Before ER. Modified Antagonist Protocol, Follistim, Low Dose HGG, with Growth Hormone: Omnitrope, Steroids: Dexamethasone, Lovenox, Ovidrel. Supplements: DHEA, CO-Q10 and Acupuncture 1x a week. eSET of a 5BB CCS Tested Embryo. Miscarried at 8w5d.